** FREE POSTAGE within Australia, postage overseas at cost -- Note: Postage will be added automatically when you place an order, but I will adjust the postage cost when the order is processed. 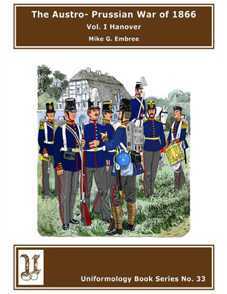 ** This book describes the structure, weapons and equipment of this army as well as an account of the battle of Langensalza. 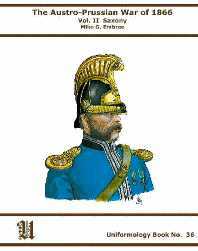 It contains 17 magnificently restored Knötel plates along with uniform descriptions. This is a tribute to a proud army whose 200 years of faithful and exemplary service ended with a train ride back to Hanover, which within a few weeks would be absorbed into the Kingdom of Prussia. This item was added to our catalog on Tuesday 19 May, 2009.